Angus studied the biogeography and ecology of marine microbes for his PhD at Brown University and the Marine Biological Laboratory. He earned his BSc from the University of Washington and the Evergreen State College for work on bacterial biofilms. He is currently developing bioinformatic methods to help elucidate the genetics involved in bacteriophage/Vibrio cholerae interactions. Zach received a BS in Biology from The College of New Jersey and an MS in Microbiology and Immunology from the University of Michigan. Zach is currently studying the interaction between ICP1 and PLE DNA replication. Peter is a 3rd year undergraduate student studying Chemical Biology in the College of Chemistry. Before joining the Seed Lab, he worked extensively on enzymatic detection and signal amplification of antibiotic resistance in bacteria. In the Seed Lab, Peter has fallen in love with genetics and wants to continue to learn the connection between gene and protein expression. Drew received a B.S. in Microbiology from the University of Michigan in 2011 where he researched microbial pathogenesis and synthetic biology. Following graduation, he worked at Ecovia Renewables generating super-absorbent biopolymers for diverse applications. 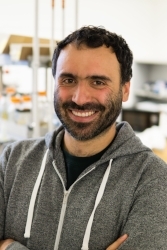 His current research focuses on the role that regulatory non-coding RNAs play in modulating V. cholerae/phage infection dynamics. 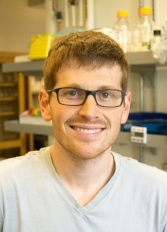 Drew received an NSF GRFP award in 2018. Steph focused on engineered photosynthetic microbial communities during her PhD in Systems Biology at Harvard. She completed her B.S./M.S. at RPI in Biochemistry & Biophysics. There she dabbled in recombinant antibody production, hMSCs, and microbial communities. Jordan is an undergraduate studying Microbiology and is particularly interested in viral and bacterial evolution especially in the context of human pathogens. He is currently working on evaluating the necessity of phage genes using a CRISPR based approach. Kristen completed her BSc. in Biology from McGill University and a MSc from the University of New Brunswick in Marine Biology, before realizing that microbiology is by far the most exciting field in biology. She began her PhD at UC Berkeley in September 2016, and is thrilled to have joined the Seed Lab. Although she hasn't yet honed in on a thesis project, she is broadly interested in phage-Vibrio dynamics within the host environment. She was awarded an NSF GRFP award in 2017. Amelia earned her BA in Biology from Vassar College and her MPH in Hospital & Molecular Epidemiology from the University of Michigan. Currently, Amelia is investigating the cues leading to PLE induction upon phage infection. Awarded the Genetics Training Grant in 2015. Zoe completed a B.S. at the University of Rochester in Microbiology with research projects on protein translation biochemistry. She then worked as a technician studying host-pathogen interactions in M. tuberculosis at UCSF/UC Berkeley before joining PMB in 2017. Her current research aims to uncover mechanisms of PLE-mediated phage defense and contextualize Vibrio-phage dynamics in the human gut environment. Tania received a B.S. in Ecology and Evolution from the University of California Santa Barbara. She then went on to study Molecular Microbiology through her research on the quorum sensing response in B. subtilis as a PREP Fellow at the University of Massachusetts Amherst. During her PhD, she investigated the structural basis for human disease at University of Massachusetts Medical School. In the Seed Lab, she plans to elucidate the molecular interplay between ICP1 and PLE in V. cholerae.